I was looking at the Global Warming Chart, at the red line and saying to myself, “That look awfully familiar.” Then I got it. Note how the red line drops down from 1907 to almost 1913, gets a WWI bump and then rises steadily to about 1938. Then it really goes up for World War II, reduces down in 1956 and goes steady-eddy for the rest of the 50’s and 60’s. Then right on clue it begins to rise sharply in 1971 and hasn’t looked back. Global warming isn’t being caused by CO2. It is being caused by an excessive increase in credit, or more specifically the increase in the money supply. M2. What do you know? The Quantity of Money theory really does have an effect. And if this is true, the FED is more powerful than it realizes. REPLY: Brilliant. You solved the whole crisis. The Fed is the problem and they take orders from Congress. There is the entire source. Besides altering the data, one must wonder if they did not fake it by using the money supply. They do not understand that things also shift in climate. New Jersey was tropical once and 1/3rd of the state is covered in what we called the Pinelands because it was sand and not soil. That region was all under water. Does that mean the sea was higher? No, the land shifted. Siberia is now warming while it snowed in Texas and Alabama. 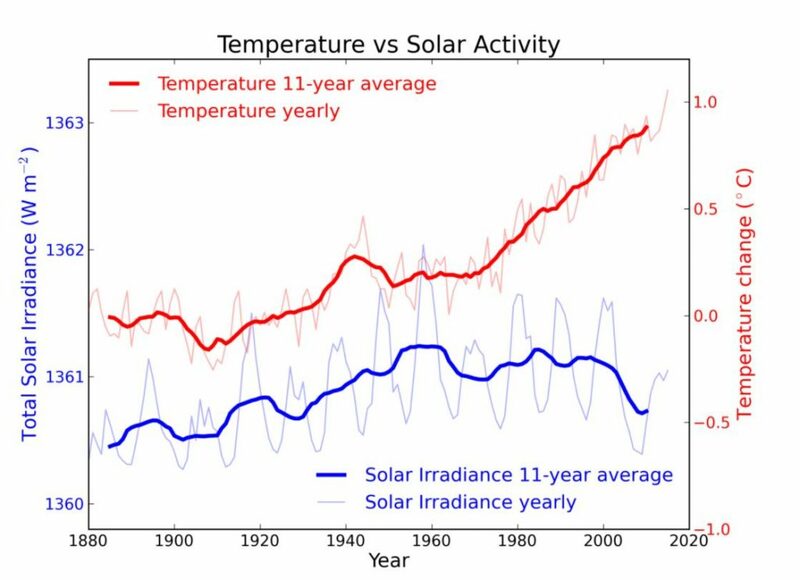 « Climate Change has Nothing to do with the Sun?